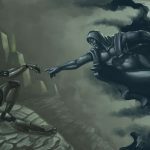 Kromlech has sent Blood of Kittens products for review and like any good wargamer we sent them off to someone better at painting and hobbying than me, here is a review by one of my favorite players and painters Jody Pez Man. Jody is available for commissions for characters only contact him at pez5767@hotmail.com for pricing and details. With Orktober and the new Ork Buggy release just around the corner, I’ve been itching to revisit my ork army. 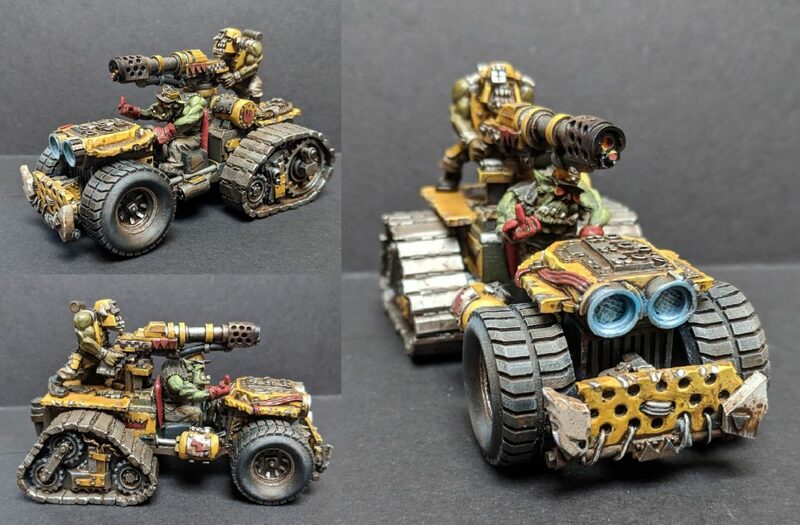 The Kromlech Orc Halftrack with Flamer seemed like the perfect place to start. As you can see, the Orc Halftrack is a pretty straight forward kit without any extraneous parts. The front tires are particularly nice and available individually from Kromlech to use as conversion bits. Though, if I’m honest, it would be nice to see some additional weapon options provided with the kit. That said, the halftrack, just like other Kromlech kits, is lavish with detail and character. 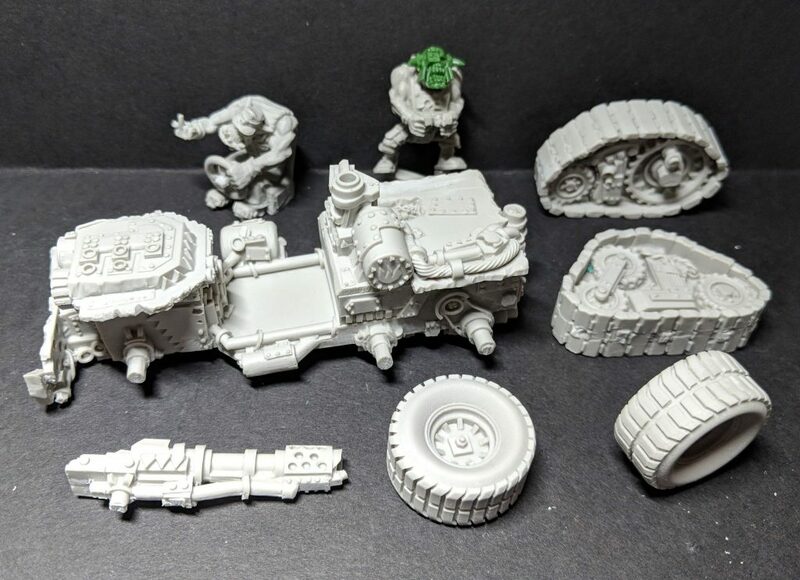 From the multiple fuel gauges, to the detailed underside of the vehicle, to the driver’s sunglasses and expressive hand gesture, everything on the kit promotes the ramshackle nature of ork craftsmanship. This is the first Kromlech kit I’ve worked with that had some casting issues. 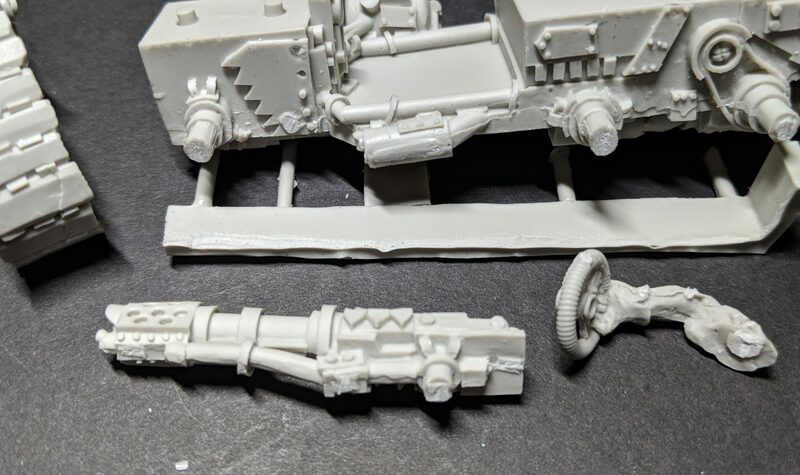 You can see in the picture above that the bottom of the flamer, the driver’s arm, some of the tank tread, and the lower side of the chassis all have miscast lines that needed some cleaning. Unfortunately, the tank tread and the chassis needed some meticulous cleaning to remove these lines. Once all the pieces were assembled, I completed the subassemblies before painting. I did elect to replace the gunner’s head with a head from the Games Workshop Ork Loota/Burna kit, so that he would match other burna-boys in my army. Other than that, it was a simple matter of priming and painting the model to match the rest of my ork horde. As with all Kromlech kits, due to the heavy detailing, it’s important to consider how much time you want to put into painting the model. For me, a basecoat, a dip in dark wash, and some highlights/details has always worked will. The deeply cut details in Kromlech casting/sculpts take incredibly well to washes and dry-brushing, so even with simple techniques you can get really nice results. The Orc Halftrack with Flamer makes an excellent addition to my army. It blends nicely with my converted ork buggies, and is just the right size scale to match the other light vehicles in the ork line. Hopefully, you’ve found this review helpful. Before long I’ll have another Ork review headed your way. Thank you again to Kromlech and Blood of Kittens for the opportunity to review these models. Until next time, happy hobby! 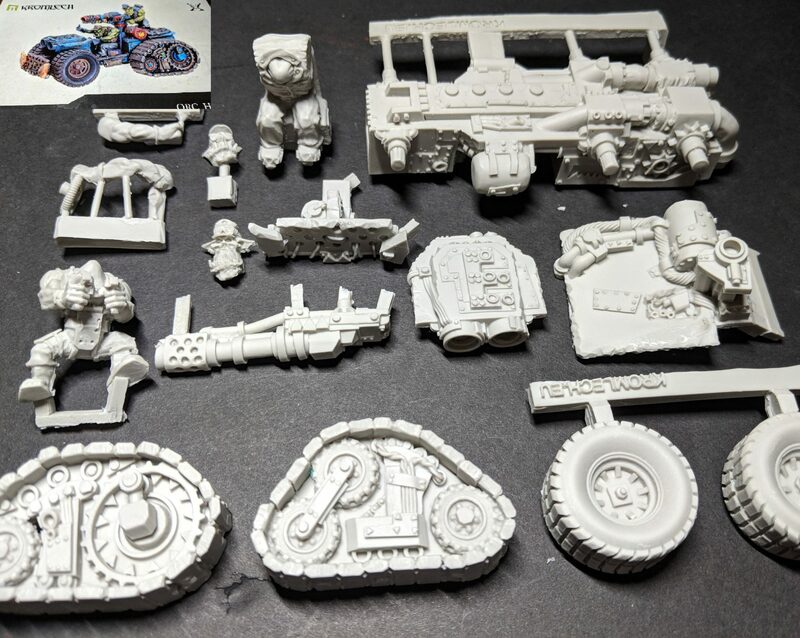 With Orktober now well behind us, it doesn’t mean we don’t stop looking at alternative items for your Ork armies. With Orktober behind us doesn’t mean we don’t stop looking at alternative items for some of the more expensive Ork models.